Of course, you know that Savannah is one of the most visited culinary capitals of the United States, a southern charm-filled Georgia gem that provides sweeter than peach treats and smoother than honey drinks, not to mention all those sultry and savory Southern comfort foods abound, the entire city a cornucopia of celebrated cuisine. Olde Pink House - What was once the fine family home of the family of local architect William Jay, then First Bank of Georgia, then a Civil War generals headquarters, is now one of Savannah’s most popular restaurants! Olde Pink House is well known for formal and romantic dinners, an eatery in which inventive southern cuisine is served in an elegant colonial mansion. The mansion so got its name because of the vibrant pink stucco covering the old brick, a gorgeous 18th-century Georgian mansion first built in 1771. The building is one of the very few throughout the city to survive the devastating fires of 1776, making it both a gorgeous and resilient landmark in both historic and modern Savannah.While here try the bourbon molasses grilled pork tenderloin or pecan crusted chicken breast with a blackberry bourbon glaze, both served with a sweet potato with pecan vanilla butter and fresh local collards. Save room for a delicious dessert before you go!....Read More on our Savannah Educational Tours page. Old Savannah Tours - Established in 1979, Old Savannah Tours has been the largest and best tour in Savannah since 2003! During any of the several offered tours, Savannah history will come to life, with uniquely personal descriptions of Savannah’s rich and spellbinding past. Every now and then your tour group may catch a glimpse of a reenactor pretending to be a period era local, famous Savannah-ite, or cinematic legend (Forrest Gump comes along quite a bit). Each tour guide and reenactor has ample personal research and city dedication, which sets this company aside from the others and makes this one outstanding tour!Take the 90-minute Historic Overview, covering over 270 years of local history, the Savannah Experience, the most comprehensive tour that takes you to forgotten neighborhoods, or the Land and Sea tour, in which you will take paddle boat Savannah River Queen through the picturesque waterway and the Old Savannah Tours Trolley through the charming landscape. 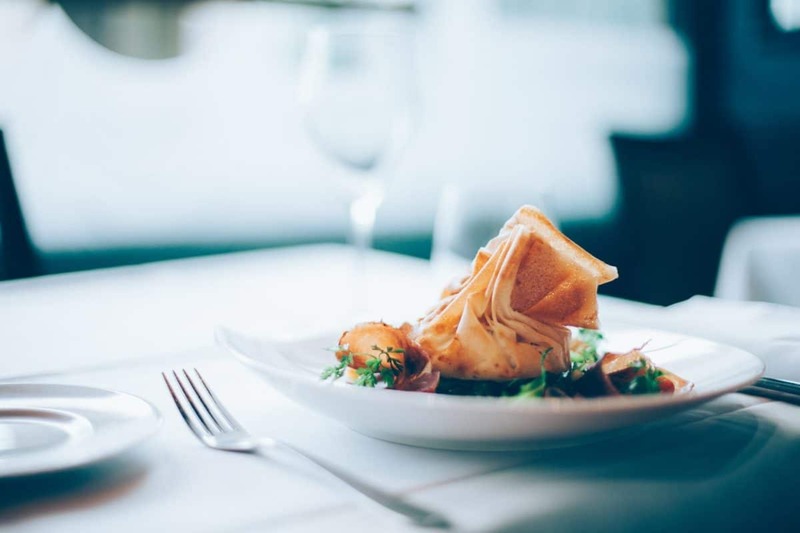 Circa 1875 - Your group will get to enjoy some of the absolute finest French cuisines in the city here at Circa 1875, one of the top-rated restaurants in Savannah overall. Considering itself an ‘Unpretentious French Cuisine and Gastro Pub’, Circa 1875 provides an affordable yet elegant dinner each night from 6 pm to 10 pm. This spot will give you both an Old World Feel while giving you Savannah culture and history at the same time.The food you will find on this top-rated TripAdvisor eatery is a great mix of French dishes with Southern ingredients. You can get everything from Jarret D'Agneau Braise, braised lamb shank, to steak frites while here. At the Bistro enjoy an appetizer of Moules Mariniere (mussels), an entree of Loup de Mer (sea bass), or maybe some crepes aux crevettes (local shrimp). You will find essentially the same items at the Gastro Pub, plus some seriously fine wines and low key items such as the 1875 Hamburger Au Paire. ...Read More on our Savannah Educational Tours page. Bonaventure Cemetery - A public cemetery on the scenic bluff of the Wilmington River, Bonaventure Cemetery is Savannah’s largest featuring over 100-acres of grounds and over 150 years of history. Built in 1846, this beautiful Gothic setting is dripping with Spanish moss and local folklore, mostly due to the cemetery being immortalized in the famous novel Midnight in the Garden Of Good and Evil. One good look around will show you why this mystical place has captured the imagination of writers, poets, naturalists, photographers, and filmmakers for over 150 years. Bonaventure is part natural cathedral, part sculptural garden, and part beautiful burial ground on a patch of Savannah land that truly transcends time. This cemetery came about in the Victorian era when death was romanticized and ritualized, making these grounds a lush city for the dead. Among the buried, you will find military generals, poet Conrad Aiken, lyricist Johnny Mercer, and Georgia's first governor Ed Telfair. ...Read More on our Savannah Educational Tours page. First Squares Food Tour - The First Squares Food Tour in Savannah is one of the absolute best in town, a culinary tour mixed with essential city history that your group simply doesn’t want to miss. Run by the popular Savannah Taste Experience and ranked as a ‘top thing to do in Savannah, Georgia’, this is a tour in which you can ‘expect good food and a good time!’. Learn about the food and restaurants of ‘Hostess City’, from the fresh seafood to the award-winning honey, they’ll even through some Scottish fare in there! In taking part in all the tastings and information sessions you will also be taking in impeccable local history and culture, especially considering the delicious foods will be coming from six spots built around the initial squares of Savannah. Be sure to wear comfortable shoes as you visit Rocks on River, Southern Savannah Bee Company, Mabel’s Cupcake Emporium, and much more! ...Read More on our Savannah Educational Tours page. Savannah Historic River Street - Welcome to the largest urban U.S. National Historic District, a celebrated area of over 20 city blocks located in the heart of one of the most beautiful cities in the world. Here your group will be able to stroll along cobblestone streets, marvelously manicured gardens and stunningly gorgeous oak-shaded parks. This district is perfect for foodies searching for refreshing outdoor cafes, gourmet restaurants, not to mention all that remarkable southern hospitality. Eat at Huey’s on the River, a highly popular New Orleans-style Cajun and creole joint, Cafe M, a French European casual eatery, or one of our personal favorites, Taylor Park, a highly unique eatery featuring such popular items as PB&J Chicken Wings and Avocado Fries (for a local treat try the shrimp and grit tacos!). Once your group walks among the lively historic squares and open green spaces of this charming historic district they will soon see why millions of visitors make this trek every year!...Read More on our Savannah Educational Tours page. Savannah City Market - Since the early 1700s Savannah’s City Market has been an absolute hub of commercial and social interaction, playing a huge role in the city’s economic and cultural history. This four-block location is a successful mixed-use project in what is known to be the "nation’s largest historic district" in downtown Savannah. The market is even located on the original site of the historic City Market, offering the best of what is old and what is new in Savannah. A visit here will soon let you know what this charming open-air market is all about, and give you plenty of insight on why it is nicknamed the "Art and Soul of Savannah"!Strolling around this location will show your group three apartment buildings and 11,000 square feet of office space, as well as over 50 local artists, work strewn about several galleries and studios. Before you go make sure you take advantage of the casual atmosphere and outdoor dining eateries, or perhaps courtyard picnics, from such celebrated local restaurants as Belford's or Vinnie Van Go Go’s....Read More on our Savannah Educational Tours page. Savannah Riverboat Cruises - This cruise line company will provide your group with a fun-filled evening full of entertainment, great southern food, and an unforgettable tour of Savannah’s historic waterway by riverboat. Enjoy refreshing river breezes, delicious local southern flavors, plenty of cultural entertainment, a fun-filled dinner, harbor sightseeing, and magical moonlight as you and your group kick back and relax for a 1.5 to 2.5 hour Savannah Riverboat Cruise.There are several different tours offered by Savannah Riverboat Cruises, including such popular options as Harbor Sightseeing, Dinner Entertainment, Weekend Moonlight, Saturday Luncheon, Sunday Brunch, and even Monday Gospel Dinner. You can customize group cruises, educational cruises, or even choose between 16 different seasonal holiday cruises. The award-winning crew will feed you historic facts about founders and an era bygone in the Harbor Sightseeing tour, as well as a lavish buffet full of such items as artichoke chicken and beef top sirloin as you unwind and dance to tunes from the '50s on the Dinner Entertainment Cruise. .....Read More on our Savannah Educational Tours page. Old Fort Jackson - With an obvious namesake, Fort James Jackson opened in 1811 in its Tybee Depot location. Located just minutes from downtown Savannah, this restored 19th-century fort is located along the Savannah River and was first created by architect William McRee. This National Historic Landmark serves as the oldest standing brick fort in the state, as well as one of the oldest along the East Coast. The fort provides unique views of the riverfront as well as a rich history ready to be shared. Fort James Jackson is located right next to Fort Pulaski, historic Tybee Lighthouse, and historic Cockspur Lighthouse, so if you would like to stay awhile you can truly immerse yourself into years of important Savannah history! Watch the exciting must-see daily cannon firings before you head over to the CSS Georgia, sentry box, or sally port. Stop by the gift shop on your way out, or just stroll along the river and ramparts for great insight on the surrounding location! ...Read More on our Savannah Educational Tours page. Famous and Secret East Side Food Tour - This tour is the same popular tour company as before, the Savannah Taste Experience, so you are already familiar with exactly what to expect on one of their outings. Different than the First Squares Tour, however, this optional/additional tour takes you to 6 different places that are beloved but considered to be ‘off the beaten path’. Enjoy tastings and a stroll through the historic district as you visit the Smith Brothers Butcher Shop, the oldest in the city, and Hitch, a southern food staple with imaginative additions. You will also visit a back alley bbq pit popular since 1963, Wall’s BBQ, Our Daily Bread Cafe, Mirabelle Cafe (authentic liege waffles), and even Zunzi’s Takeout International cuisine! Again, your stomach will thank you for this one (just unbutton afterward if necessary). Tybee Island - Welcome to Tybee Island, Savannah’s own premiere beach! This Georgia destination is an island and city all in one, located in Chatham County near Savannah, on the easternmost point of the state. There are several various activities, attractions, shops, monuments, and eateries to explore here, so put on your walking shoes, grab your camera, and prepare yourselves for tons of Tybee Island fun. Attend a session at the marine science center, which provides educational programs on the beach, the marsh, the water, or in the coastal gallery, or perhaps climb the 178 steps to the top of the lighthouse and catch that unbelievable view. The beach here is wide, clean, and full of gentle lapping waves, the fine granite sand coming from the eroded Appalachian Mountains. You will find sporting goods stores, beach shops, and grocery and convenience stores here, as well as some of the best seafood joints in Georgia, including Sting Ray’s Seafood, Lighthouse Pizza, and Coco’s Sunset Grille! Your group is truly going to love this final island stop! ...Read More on our Savannah Educational Tours page.